The Bible is very clear about what happened next. The local Church (the expression of the Body of Christ) apparently met together in a large (it must have been!) location. This was the place where people were taught, where they celebrated the death and resurrection of Jesus by taking the bread and the wine and they prayed. As the Church rapidly expanded, these events also took place wherever a group of people met – from house to house. This was an amazing time in the history of the Jewish people as there were so many changes happening, The whole of Jerusalem was buzzing with what had been happening, there was the triumphal entry of the ‘King of the Jews’ who turned out to be a traitor and blasphemer. They thought they had their King at last then one week later He was killed on the Cross. There was some funny goings on with the sky going dark at midday and dead people coming back to life. Now all His followers have been having secret meetings scared that they might get crucified as well when the whole building where they were is shaken and these pathetic weak terrified followers come out and publicly challenge all the people with exactly who this Jesus was and that He is still alive and has paid the price for victory over death. He is the Messiah. They are certainly changed men and they do not seem to mind telling the Truth about whose responsibility Jesus’ death is. This total devoting of themselves is the first most vital change that released the supernatural power for the advance of the Kingdom of God as we see here and is what God is calling us to today. We need to be so devoted to Jesus and subject to the Cross, that all we are called to do is from our love and passion for Him not from rote or religious habit. We should be so excited about joining with other believers that no one needs to call us or remind us or press our guilty conscience button in order for us to turn up at the prayer meeting or Bible Study. First, to the teaching of the apostles, who had so much to share with them of the amazing things Jesus had done and said. All their experiences of Him gave them lots to talk about. After all, John says that if every one of the things that Jesus had done was written down the whole world would not have room for the books, John 21:25. They had no structured programme so God had the freedom to work and move on the listeners so 3000 were added to their number in one day. They were not just devoted to the apostles teaching but they lived out what they were taught from the Word. They loved to serve each other and were always there to fellowship with one another and look out for each other’s needs. They did not need checking up on, calling, pushing or reminding to come to the meeting. They took the initiative to make sure they were at the right house where Peter was teaching or where there was breaking of bread, ‘every day’. This response not only encouraged the leaders but also released them to do their job, ‘many wonders and miraculous signs were done by the apostles’. One of the greatest gifts we can give our leaders is to let them know we are totally devoted to the teaching of the Word and we will faithfully follow it’s direction to serve them and pray faithfully and be where ever the fellowship is happening, so that the Kingdom of God is advanced. They also were devoted to sharing their possessions and were willing to sell what they had to provide for someone else’s need. Everything they had was available for others to share so everyone was on an equal footing with no superiority. This is very clear direction from the early Church showing why God could move through the power of the Holy Spirit in all the people to draw them to being believers as they looked on and ‘were filled with awe’. In our Western society this is one area we hold tightly and find it hard to share our home, car, household items or even a cup of coffee, but as finances and jobs become scarce this is one area where the love of Jesus can shine through to neighbours, friends and family. Look at the example of Ananias and Sapphira in Acts 5 where they were willing to sell a piece of property and give the money to the apostles. What a challenge! Their only problem was they tried to keep some back for themselves and lied about it. Nevertheless that is what the early Church was doing to provide for all in need. The Church grew every day, not just on Sundays. It thrived on personal individual devotion to God. God added people to their number by granting salvation to the lost daily. Motivation sprang from their internal relationship within them not from a charismatic leader, great worship band or the right programme. He also gave the Church (the Believers, not the building!) favour with the entire population of the City. However it would not be long before the religious authorities began to see them as a major threat to their authority. The people who were saved and were added to the first Church were not from a selected strata of society. They were all sorts of people, rich and poor, slave and free, clean and dirty. The Church in any area is made up of a cross-section of the population. It is described as a body with all sorts of organs, each one playing a part in life and growth. The Body requires balance, not all businessmen, not all housewives, not all full time church people, not all unemployed, not all ex-offenders, but those the Lord sends so that it can work together just like a healthy body does. In his first book, Luke states about Zacchaeus, a wealthy Tax Collector: ‘Meanwhile, Zacchaeus stood before the Lord and said, “Sir, from now on I will give half my wealth to the poor, and if I find I have overcharged anyone on his taxes, I will penalize myself by giving him back four times as much!” Jesus told him, “This shows that salvation has come to this home today. This man was one of the lost sons of Abraham, and I, the Messiah, have come to search for and to save such souls as his.” Luke 19:8-10 The NIV Bible translates verse 10 as ‘The Son of Man came to seek and to save that which was lost’. That is a very good description of how the local church should be made up. When he became a new creature in Christ Zacchaeus did not need follow up classes he just knew from his new spirit within, that he had to repay the people he had stolen from and he obeyed. Today we work so hard to keep new converts and we often pamper to their obvious sin doing all we can to keep them in the Church. We need to encourage them to attend all that is available to them but we should not have to nag them but allow their response to come from a heart change. There was such a dramatic change in Peter through the power of the Holy Spirit and the realisation of all he had been forgiven from, that there is no need to suggest or cajole him to stand up for the Truth. He now feels so passionately for Jesus it is his natural response to risk his life and speak up for the true facts. As a result 120 people become 3000 precious souls and so the first Church is birthed. What follow up programme would have worked with the 3000 new believers? They just had on the job training and they saw the devotion in the apostles and wanted to be just like them. They chased after all Jesus wanted them to know by walking in the power of the Holy Spirit. They saw wonderful signs and wonders and they knew Jesus was all they needed so they did not consider the cost. We do not need new believers today who follow Jesus because of the social life of the Church or they just ‘want a ticket to heaven but don’t ask me to change my lifestyle’, they are high maintenance and as a result many pastors are burnt out. We need to learn to let people go and allow God to work in their lives, He is the only one who can save them. If we see a sister in need we need to recognise that as we are the person that the Holy Spirit has highlighted the problem to, He expects us to be the ones to pray about it and help the sister, not just hand it over to the leader who already has his hands full. The Bible is very clear about what happened next. The local Church (the expression of the Body of Christ) apparently met together in a large (it must have been!) location. This was the place where people were taught, where they celebrated the death and resurrection of Jesus by taking the bread and the wine, and they prayed, Matthew 26:26-29. As the Church rapidly expanded, these events also took place wherever a group of people met – from house to house. ‘They joined with the other believers in regular attendance at the apostles’ teaching sessions and at the Communion services and prayer meetings. 43 A deep sense of awe was on them all, and the apostles did many miracles. We need to keep this picture drawn for us constantly before us. This is the situation where God has commanded the blessing and if this is how God likes it and not our restricting, controlling structures we call Church then we should be working towards this freedom. After all when Revival comes shortly, we will have our own 3000 new disciples of Jesus and it is doubtful many Churches today could accommodate that many new members! 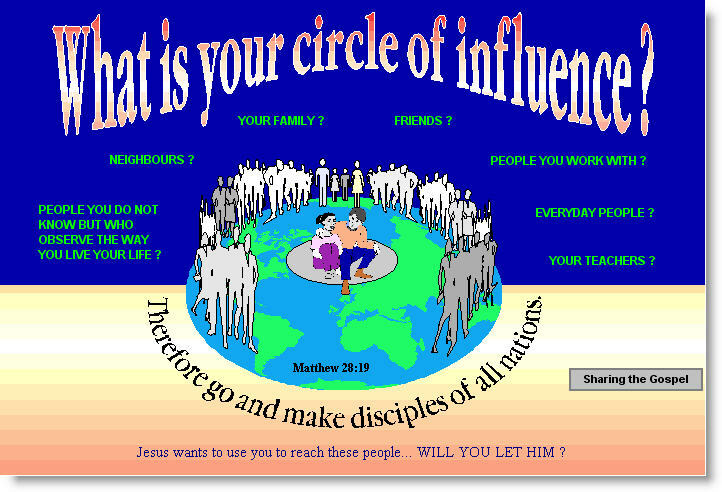 Many will disciple themselves on the Internet with all the study tools available. These people will almost ‘instinctively’ know the principles of the Kingdom of Heaven – things that you and I have taken years to discover and drill into our lives. We need to let them climb onto our shoulders so that they have a launch point enabling them to reach higher and further than we could do. They will be where we are after 20 years but in 20 weeks, and in turn the people they teach will be where they are not after 20 weeks but after just 20 days! Why the Church was so successful? There was a general willingness to sacrifice even to life itself. They were committed to carry the Gospel to the uttermost parts of the earth. 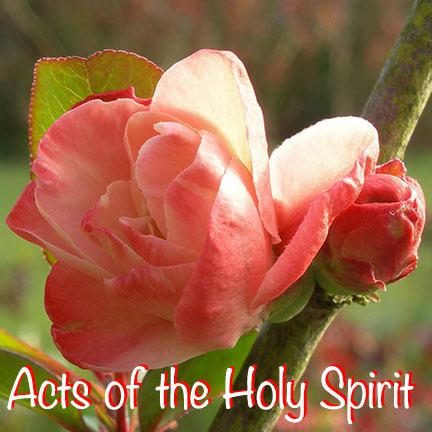 There was expression of the Gifts of Holy Spirit daily. There was unquestionable authority of the Bible Scripture. There was daily breaking of bread and prayer. *Today there is no unity why? *Why is God going to restore the Church to the right condition? If you are moving to a new area and wondering how to choose from the variety of Churches all who call themselves Christian, Here are some good questions to ask oneself. Read the Notes and the Bible Verses referred to in them. 2. Is there any area of ‘devotion’ that you are missing? What can you do about it? 3. Are you challenged by the story of Ananias and Sapphira in Acts 5:1-11? Why? 4. Consider the three questions highlighted* near the end of the notes. What do you think are the answers? 5. The Bible describes the miracle of the healing of the lame man in detail. Why do you think that time, location and people are important in this event? 6. Why was the man begging? Would there have been other ways for him to make a living? 7. How did the lame man get to the Beautiful Gate? How often did he go there? Do you think he remembered people’s faces? 8. Did the lame man expect anything from Peter and John a) before they looked at him and b) after they looked at him? Why? 9. Peter spoke to the lame man, but he also did something else. What was it and why did he do it? 10. How long had this man been lame? What were the results of Peter and John’s gift to him? 11. Do you think Peter and John were surprised by what had happened? Do you think that you and I should expect miracles of this sort to happen through us today? 12. Who healed the lame man? Why was it important for the people to know this? 13. Peter took his opportunity to address the crowd. Was he gentle in the way that he spoke to them about what they had done to Jesus? Why was this so? How do you think we should tell people of what Jesus has done for them? 14. Were there any circumstances that may have helped to make the onlookers feel that the events of Jesus’ death had a ‘higher purpose’ to them? 15. What steps were necessary for people to be in right standing with God? 16. Are there any changes that you are going to make to your life as a result of reading this Chapter?